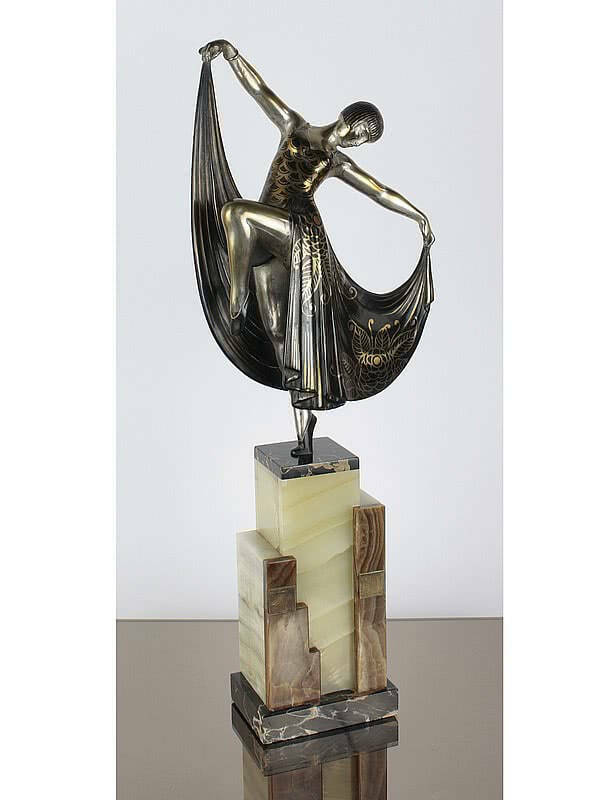 A very stylish Art Deco French metal figure (Louise Brooks?) circa 1920s, by Gilbert. This figure is probably in one of the most iconic images of the Art Deco era and above is an original trade photograph from a 1930's Silvin - Paris catalogue. With her bobbed hair and classic pose this really is an outstanding sculpture; pure Hollywood!